Two-in-one design, it can be used for retail mineral water bottle. 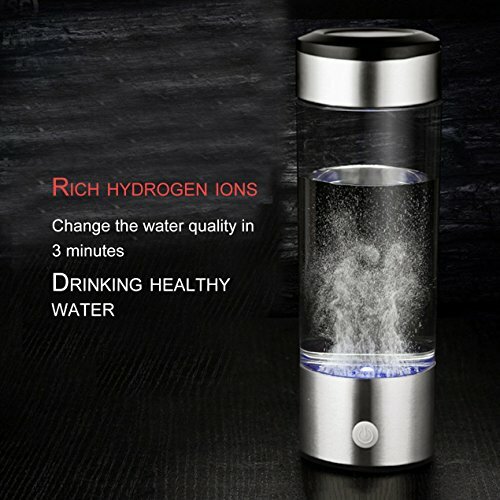 Hydrogen rich bottle, perfect bottle for your health. 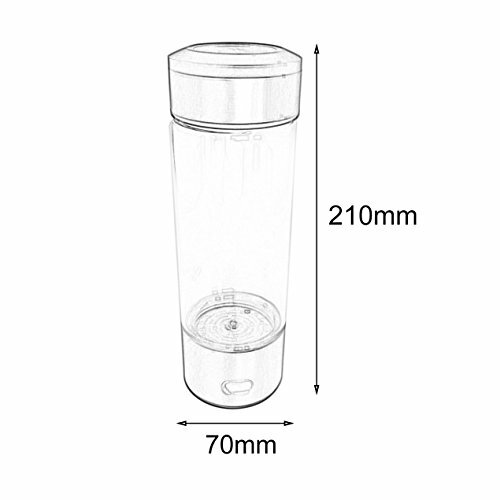 High borosilicate glass, cool-resistant, anti-scald and anti-explosion. With colorful breathing light, mysterious and romantic. 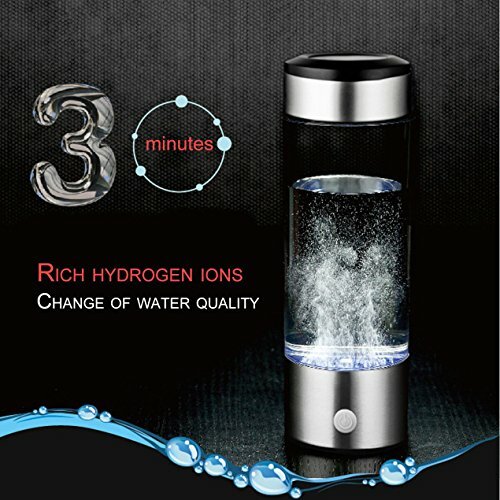 Portable hydrogen rich water ionizer provides more healthy water for you. 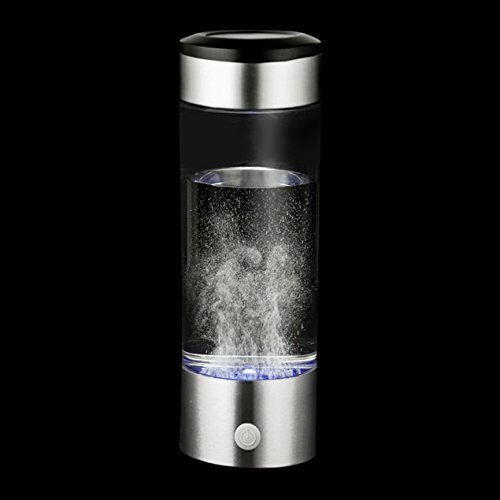 Hydrogen rich water is easy to absorb and can help to boost your metabolism and reduce constipation to some extent. With a USB cable, it can be charged by a computer or a cell phone USB charger, convenient to use. With delicate design, it can serve as a perfect gift. Suitable for home, office, traveling, etc. 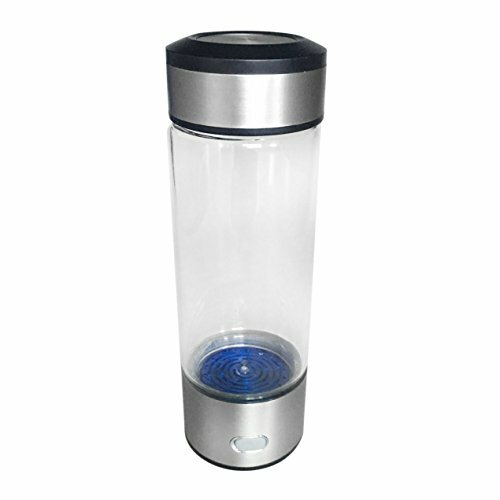 Two-in-One-Design, kann es für den Einzelhandel Mineralwasserflasche verwendet werden. Wasserstoffreiche Flasche, perfekte Flasche für Ihre Gesundheit. Hohes Borosilikatglas, kühlresistent, Verbrühschutz und Explosionsschutz. Mit buntem Atemlicht, geheimnisvoll und romantisch. 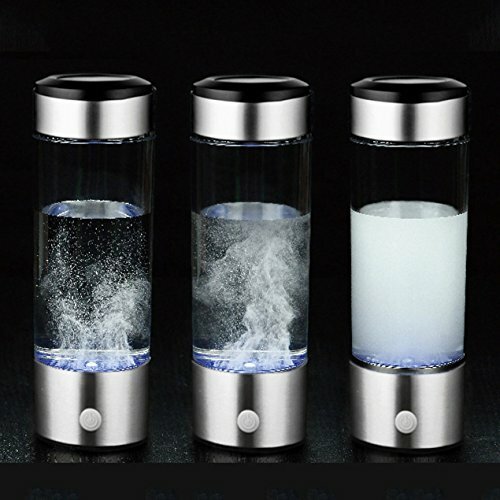 Der portable wasserstoffreiche Wasserionisierer liefert mehr gesundes Wasser für Sie.